We just did up a summary of our last month, which was, for us, incredibly inspiring. 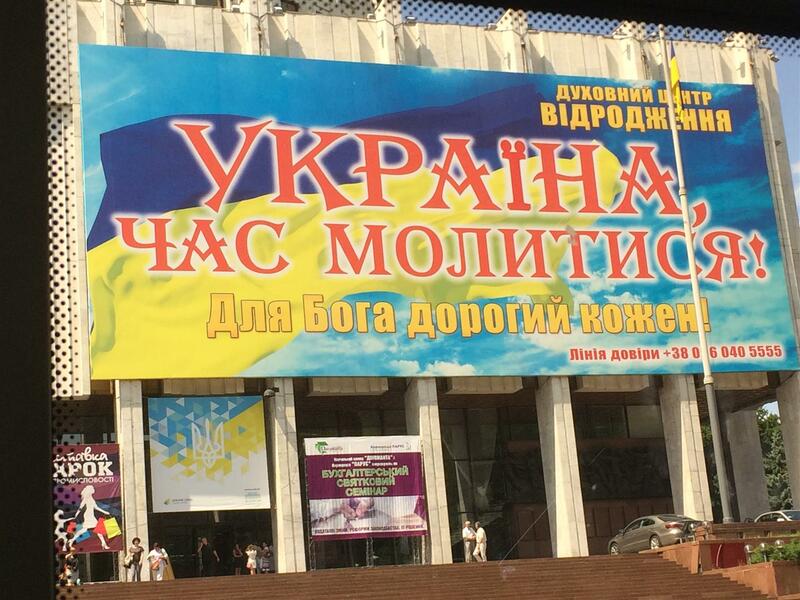 Sign on Ukrainian House in European Square: Ukraine, it is time to pray! To God every person is precious! particularly about our time in Ukraine. We really felt that a lot of our observations from a year ago (check out the old posts) proved to be pretty solid. But we came away with a LOT more we are looking forward to sharing in the near future.